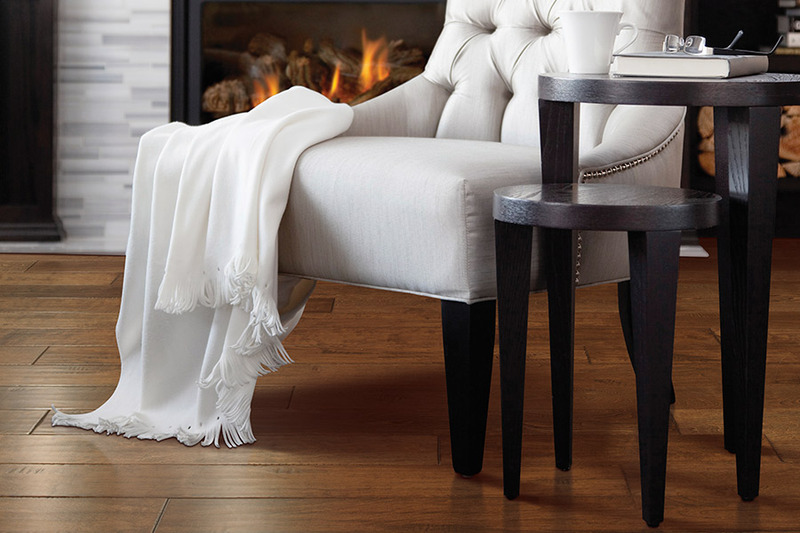 There’s no doubt that hardwood flooring is, by far, one of the most popular floor coverings on the market today. 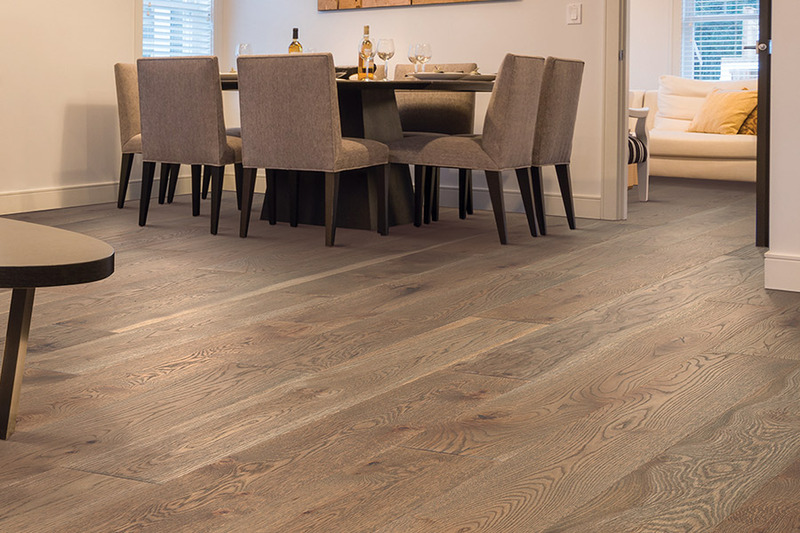 This fact is only backed up by so many other products offering a “wood-look” for those who really want the elegance that this flooring offers. 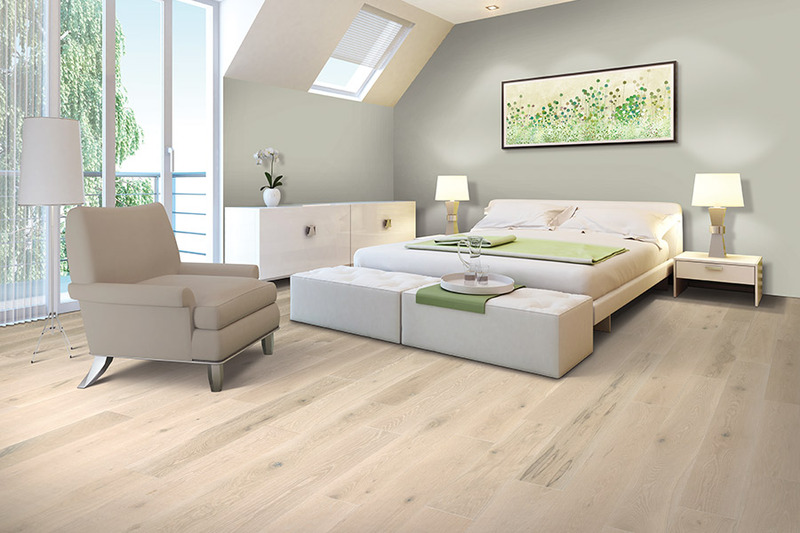 The word elegant has become synonymous with these floors, and so far, it has never gone out of style. The lifespan assures you that your investment will not be in vain, and the benefits are well worth taking the time for a professional install. At B&B Carpet, we are dedicated to the complete satisfaction of our customers. From choosing the perfect material, to designing the layout, and finally seeing it through to a completed installation, we’re here for you. Our trained and highly knowledgeable sales staff at our Doniphan, Nebraska showroom make sure nothing is left out and you absolutely love your new floors. We serve the areas of Hall County, Hamilton County, Adams County, Hastings, and Aurora, and we would appreciate the opportunity to help you find your new flooring as well. 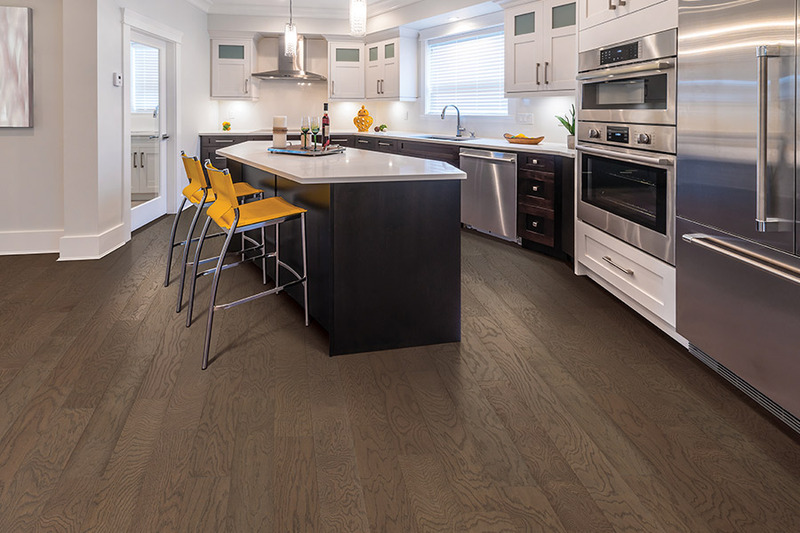 If you’re ready to dive into the world of hardwood flooring, we are prepared to help make it as easy a transition as is possible. We’ll help you pick the perfect species for your home’s unique atmosphere, the perfect stain color to match your existing decor, and the perfect finish type, to bring everything together with beauty, grace, and functionality. 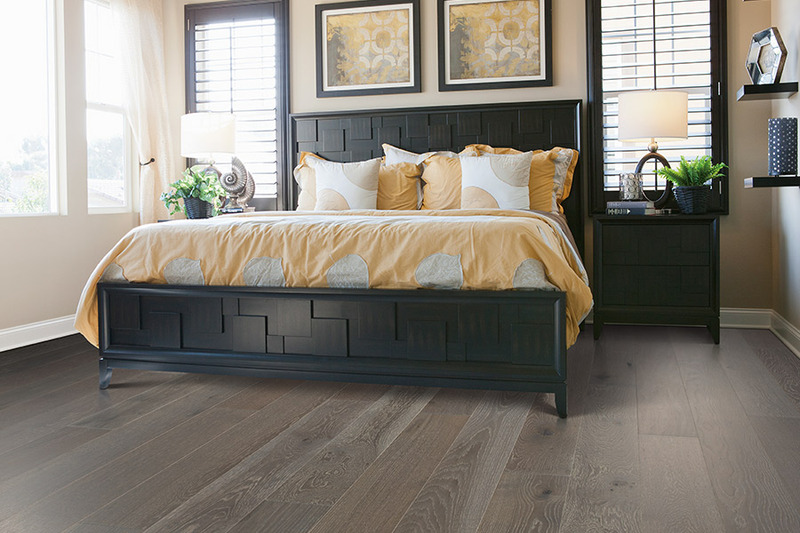 It’s important to note that solid hardwood flooring can never be installed in below grade areas or any space where humidity, moisture, or changes in temperature happen regularly. 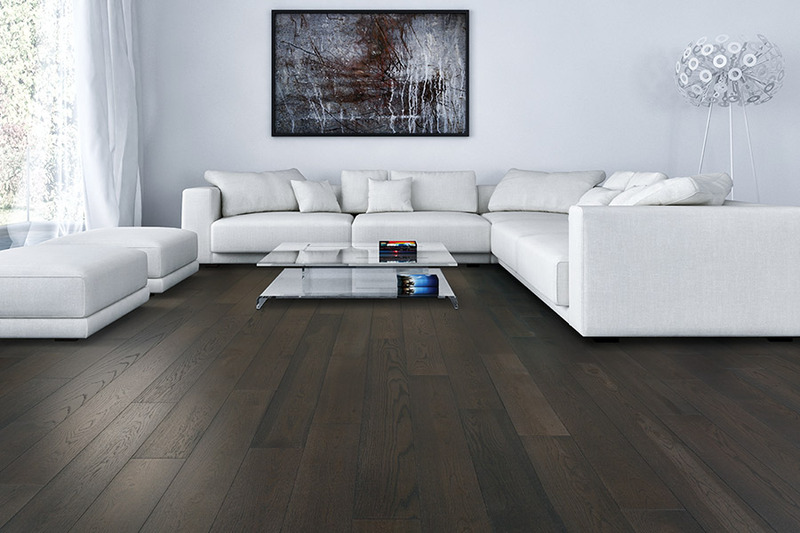 If you have spaces like this that you need flooring for, be sure to ask about engineered flooring. With a solid wood veneer, it gives you the same great look and can even be refinished a couple of times in its lifespan. The good news is, it doesn’t expand or contract, so it’s suitable for a wide variety of spaces. You may be asked whether you prefer a finish that is applied at the factory or on site in your home. It may sound confusing, but it’s actually very simple. A factory finish is applied at the point of manufacture, while an on site finish is applied after it’s installed in your home. Prefinished pieces do save time, dust and noise in your own home, but lacks the customization that you may be looking forward to. Discuss all the options with your sales professional to make sure you get exactly what you want.